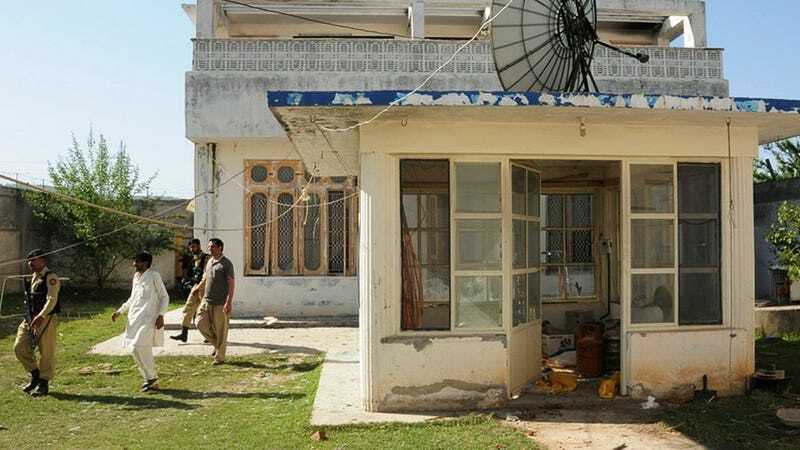 Osama Bin Laden's three former wives and two daughters have been under house arrest since March 3rd for living in Pakistan illegally, and they'll remain there for 15 more days before being deported, Pakistani officials announced today. Analysts told the Guardian that Pakistan may have sought a longer prison sentence to prevent the women from opening up about what it was like to live with America's #1 public enemy for years in a country that claimed it had no clue where in the world he was hiding. Pakistan's government has always denied helping Bin Laden's family, but ABC News reports that the terrorist's youngest wife, Amal Ahmad Abdul Fatah, told investigators that her husband did not spend the past decade hiding out in desert caves but instead took it easy "in various houses in major Pakistani cities." Ohh really? It's also of note that at least two of the four children Bin Laden fathered while undercover were born in government hospitals in Pakistan. It'll be fascinating to hear what the women have to say when they're released in a few weeks — that is, if they haven't been coerced into staying silent.